I have a friend in Bali named Kadek. 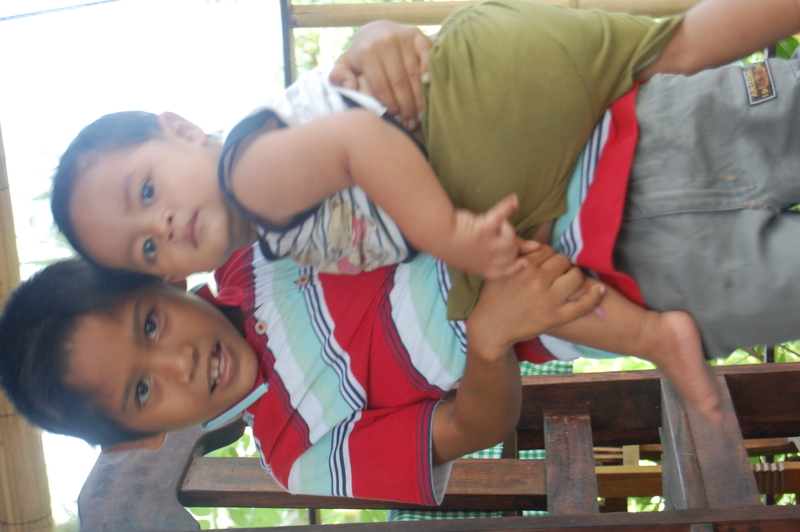 He is about ten years old and loves taking care of his little brother Komang. Like many kids in the little town of Amed, Kadek goes to school five days a week from morning until noon. Some kids walk to school and others ride bike, but they are always easy to spot, all wearing the same matching uniforms. The school day usually begins with group exercises and even some group singing. If I woke up early enough, I heard the children singing along to a song broadcast over the loudspeakers. 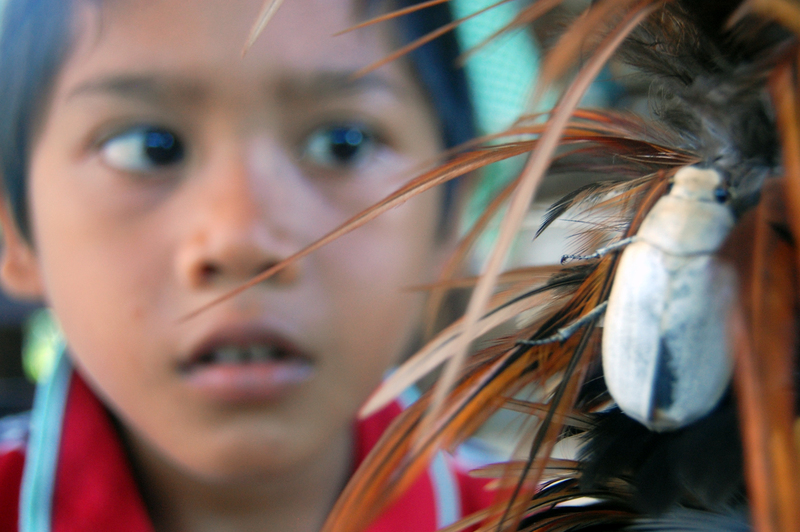 Kadek will continue going to school until he is seventeen or so, just lke his father. Not all the kids in Kadek’s small town are as lucky as he is. While it is free to go to school, a student is only allowed to attend if he or she is wearing a uniform. Lots of students own their own uniforms, but there are some who can only afford to rent a uniform. They can rent these uniforms each month or even each day, but if they don’t have the money for it, they cannot go to school. Similarly, the students must bring their own pencils and papers, and must buy their own books. After all of these expenses, school doesn’t seem so “free” after all, especially for parents who do not have well-paying jobs. The older folks in town may not know very much English, or the folks living outside of town, but kids like Kadek learn English along with their other subjects, in hopes that they can get good jobs with their English skills. What does knowing English have to do with getting a good job in a place like Bali, where they already have to know two languages, Balinese and Indonesian? English is becoming very important for lots of countries as tourism becomes more and more popular. Bali is a very beautiful island and people come to visit it from all over the world. English is a very common language for people from all over, even if it is not their native language, so English is one of the first additional languages a child will learn for a total of at least three languages. Many add even more to this list, learning Italian or German to accomodate even more tourists. With these skills, they can work in hotels, guest-houses, restaurants, and so on.